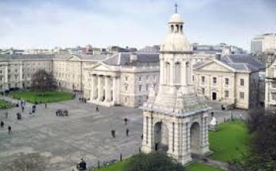 The 10th annual ENCALS meeting was held in Trinity College Dublin, from May 25-27 2012. The executive board would like to thank Prof. Orla Hardiman and her team for the organisation of this excellent scientific meeting. The program can be found here (Program of the meeting). On the afternoon of Saturday May 25th, a stimulating interactive debate was held entitled “The SOD1 mouse has passed its sell by date”.